Heather Nauert, spokesperson for the Secretary of State, Rex Tillerson said the US looks forward to working with Ms Ardern. "The US-New Zealand relationship is strong and New Zealand is one of our closest friends and partners." The incoming prime minister, Jacinda Ardern, will spend the weekend finalising her party's coalition deal with New Zealand First, including allocating ministerial roles. The Labour Party cabinet announced on Friday contains a line-up of senior MPs, with no surprises included. Ms Ardern has said their specific portfolios won't be revealed until next week, once the roles are all agreed to by New Zealand First and the Green Party. She told RNZ she expects to make public the final make-up of the Government on Wednesday. However Ms Ardern has repeated her statements from the campaign trail that she was interested in the Arts and Culture portfolio, and wanted to keep involved in childrens' issues. Other likely portfolios include David Clark in Health and Kelvin Davis as Corrections Minister. New Zealand First will have four cabinet ministers, but its leader Winston Peters has yet to say whether he'll accept the role of deputy prime minister. The Greens will have three ministers outside cabinet. Ms Ardern yesterday admitted to not being happy with the gender balance, with women taking just seven out of the 21 positions. Women would hold just six of Labour's 16 cabinet posts, and just one of its five ministerial roles outside cabinet. Ms Ardern said that was not good enough and she was vowing to bring more women up to the top level. "I'm going to make sure that we continue to work on bringing through more of our team," she said. "We set ourselves a goal as a Labour Party that we would bring more women into our caucus. 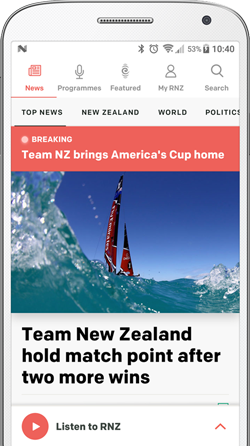 When we set that goal we set it at 50 percent, and we came very close to achieving that this election and I'm proud of that," Ms Ardern said. "We'll continue to make sure that we try to see that reflected in our membership as they come up through roles and responsibilities through both our caucus and through our cabinet." Ms Ardern said she had great ambition that the party would make great gains in issues like equal pay. Ms Ardern also has several public appearances scheduled in Auckland this weekend. 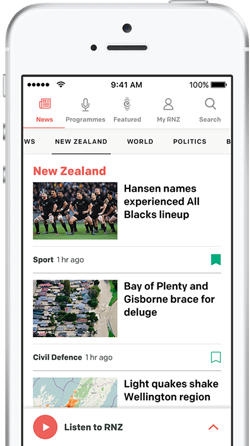 New Zealand has a new Labour-led government in a coalition with New Zealand First and supported by the Greens.